Hawaii’s rich natural beauty quickly turns bone-chilling as you experience its Haunted House attractions. Haunted Plantation is among the attractions offering thrill-seekers a scary adventure this Halloween season, complete with real haunt and real fear. 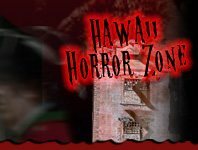 Get ready for the ultimate Halloween experience at Hawaii’s Haunted House attractions!